PK'S PIXIES IS PLEASED TO PRESENT A BRAND NEW COLLECTION OF PIXIES FEATURING THE BIRTH MONTHS OF THE YEAR AND THEIR GLITTERING TRAITS. EACH BIRTHSTONE PIXIE COMES WITH A STORY CARD THAT INCLUDES THE SAME TEXT AS SHOWN NEXT TO HER PICTURE. 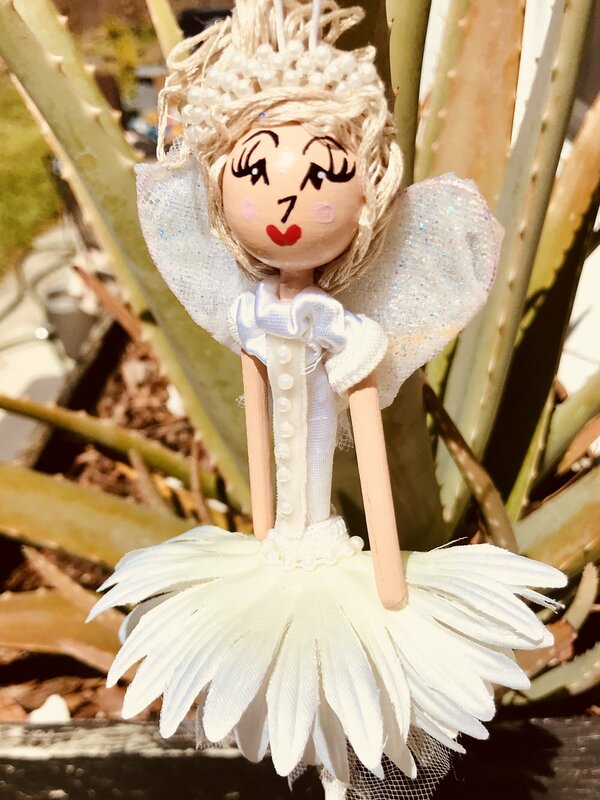 AS EACH PIXIE IS HANDMADE, DESIGNS WILL VARY SLIGHTLY. Each month comes in either light, medium, or dark flesh tones. Please specify. January is full of magical gifts, and no one promotes them better than Lady Garnet. Born in that first frosty month of the year, Lady Garnet represents loyalty, dedication, and diligence. Let her presence be a reminder that all of January's children share the same special gifts, and that it's never too late to let them sparkle. February is full of magical gifts, and no one promotes them better than Lady Amethyst. Born in that second shimmering month of the year, Lady Amethyst represents the kind of wealth and power that was meant for royalty. Let her presence be a reminder that all of February's children share the same special gifts, and that it's never too late to let them sparkle. March is full of magical gifts, and no one promotes them better than Lady Aquamarine. Born in that third thriving month of the year, Lady Amethyst represents the beauty of the sea. Having her nearby inspires good luck and safe voyages, so let her presence be a reminder that all of March's children share the same special gifts, and that it's never too late to let them sparkle. April is full of magical gifts, and no one promotes them better than Lady Diamond. Born in that fourth and freshest month of the year, Lady Diamond represents a prized collection of good solid values. Having her nearby inspires integrity in all others, so let her presence be a reminder that all of April's children share the same special gifts, and that it's never too late to let them sparkle. May is full of magical gifts, and no one promotes them better than Lady Emerald. 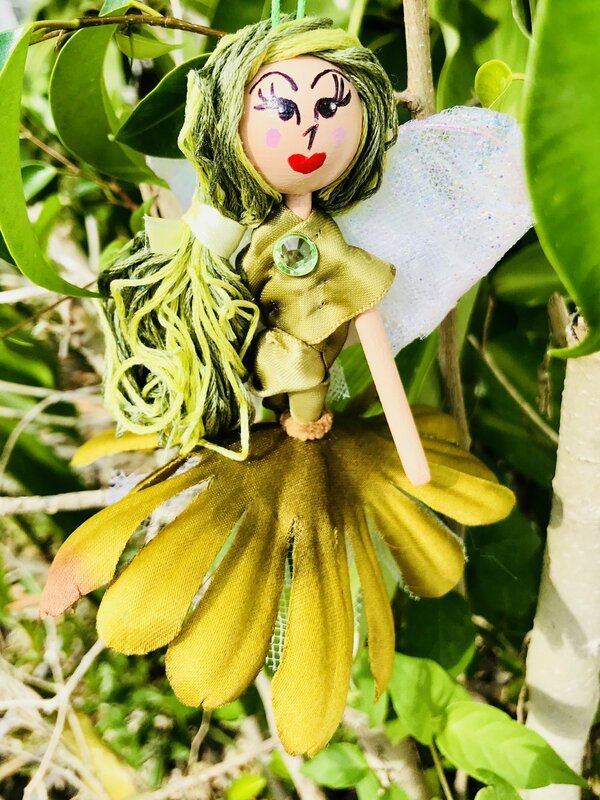 Born in the fifth and fortuitous month of the year, Lady Emerald represents spring's lush green energies of life and growth. Having her nearby inspires change in the right direction, and new found chi for achievements. Let her be a reminder that all of May's children share the same special gifts, and that it's never too late to let them sparkle. June is full of magical gifts, and no one promotes them better than Lady Pearl. Born in the sixth spectacular month of the year, Lady Pearl represents elegance and ingenuity, and reminds us that hard work produces treasures untold. All of June's children share the same special gifts, so remember to let them sparkle. July is full of magical gifts, and no one promotes them better than Lady Ruby. Born in the seventh serendipitous month of the year, Lady Ruby represents the richness of life blood passed down for generations, and stands for courage and protection, to instill unbreakable family values. Let her be a reminder that all of July's children share the same special gifts, and it's never too late to let them sparkle. August is full of magical gifts, and no one promotes them better than Lady Peridot. Born in the eighth effervescent month of the year, Lady Peridot represents vibrance and giving. Believed to be born from the tears of the volcano goddess, Pele, Lady Peridot inspires abundance and bounty. Let her be a reminder that all of August's children share the same special gifts, and it's never too late to let them sparkle. September is full of magical gifts, and no one promotes them better than Lady Sapphire. Born in that ninth and notable month of the year, Lady Sapphire represents a sturdy strength reserved for only the most fearless, and her presence inspires the same in others. Let her be a reminder that all of September's children share the same special gifts, and it's never too late to let them sparkle. October is full of magical gifts, and no one promotes them better than Lady Opal. Born in that tenth terrific month of the year, Lady Opal represents change for the better in days to come. Her iridescent colors show glimpses of hope and promise that will inspire all in her presence. Let her be a reminder that all of October's children share the same special gifts, and it's never too late to let them sparkle. November is full of magical gifts, and no one promotes them better than Lady Topaz. Born in that eleventh autumnal month of the year, Lady Topaz is a beacon of light and guidance for all who gaze upon her. Like a candle, she represents brightness to lead the way, and shares this gift with all of November's children. Let Lady Topaz be a reminder that it's never too late to let them sparkle. December is full of magical gifts, and no one promotes them better than Lady Turquoise. Born in that twelfth and triumphant month of the year, Lady Turquoise represents prosperity for the new months to come. Season after season, Lady Turquoise remains a glimmer of goodness, health, and wealth for future endeavors. Let her be a reminder that all of December's children share the same special gifts, and that it's never too late to let them sparkle.